Enterprises that want to work with APIs will require facilities to design, test, publish, govern, secure, manage, monetize and monitor those APIs. The API Management space is hotly contended with many vendors offering their products in this area. Oracle is very close (winter 2016/17) to releasing the brand new API Platform Cloud Service to facilitate API management in any which way. 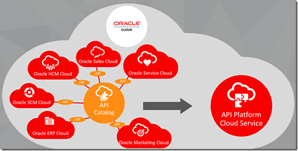 As such, API Management is key element in the Integration story of the Oracle PaaS portfolio. The API Platform broadly speaking consists of two parts that together cover the API Delivery Life Cycle: Read the complete article here.